Home → News → The Zoom Groom from Kong! Who's shedding? The Zoom Groom from Kong! Who's shedding? Find this in store or in our online store with this link! The KONG ZoomGroom removes loose hair like a magnet and stimulates the capillaries and natural oil production creating healthy skin and a healthy coat. 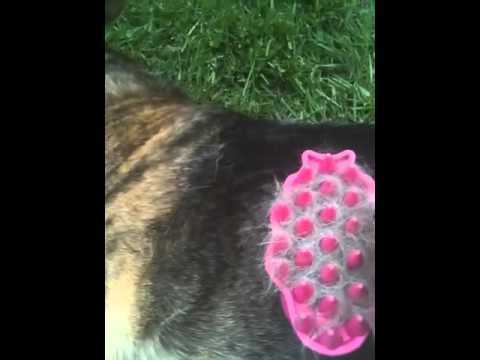 Made from rubber, it eliminates accidentally scratching your dogs skin.